Botswana is an ideal destination for an active family safari. Our Botswana safari experts travel regularly with their own families, which means you can count on sound travel advice and solid recommendations that are based on first-hand experience. Since 2001, we’ve brought hundreds of thousands of travellers on safari to Africa - you'll find their comments on our service on independent review sites like FEEFO, where we've maintained a 4.9/5 rating. 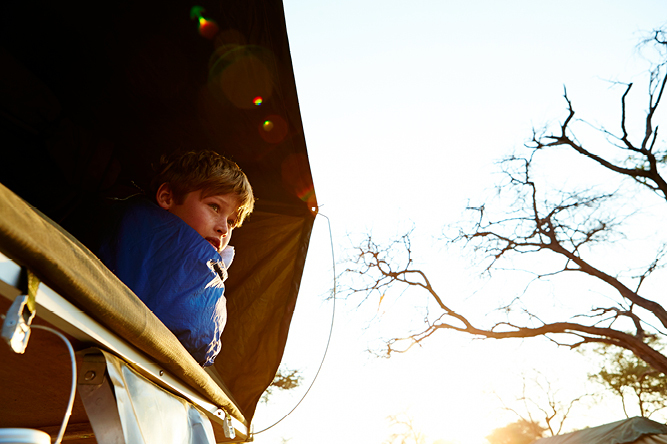 This photo essay offers a glimpse into what you can experience on a Botswana family safari. Your Africa Safari Expert will accommodate you in a lodge that accepts young children, as not all do. For the best possible experience, consider reserving a private game-drive vehicle exclusively for your family so that you don't have to share it with other guests. Game viewing in a destination like Botswana is never dull - there is plenty to see and all of the Big 5 to look out for, which really engages children's attention. You can download fantastic apps to track your sightings, which makes the experience that much more interactive for kids. We love setting family safaris in Botswana's private concessions as these areas allow the most variety in game-viewing activities, from 4x4x drives that cover plenty of terrain and are ideal for watching big game and predators, to guided nature walks that introduce you to tracking, wilderness survival skills and bring the life of wild creatures into detailed focus from their burrows and nests, to secret hiding places and favourite waterholes. Read more about the advantages of private concessions. 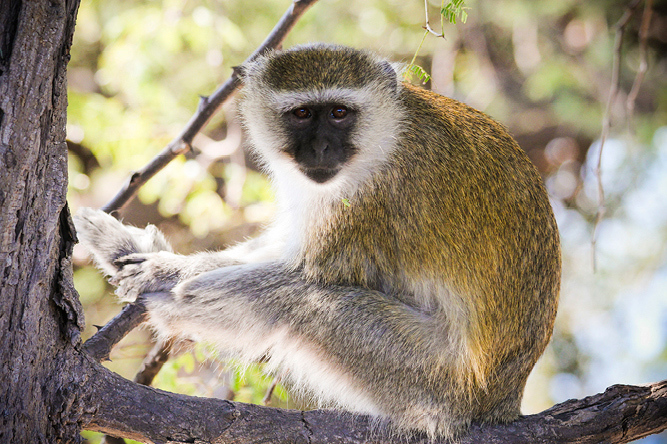 Children will love watching the acrobatics of vervet monkeys as they leap effortlessly from tree to tree. Vervets are highly intelligent so remind your kids to always close the door to their suite or tent when leaving on a game drive - monkeys enjoy 'investigating' your baggage! Elephant families often mimic our own: boisterious little ones, teenagers learning the ropes and a strong matriarch keeping everyone safe, in line and well watered. Spot them on mokoro rides in the Okavango Delta or on sunset cruises along the Chobe River. Even from the air, Botswana is beautiful. Transfers between camps are often by light aircraft, allowing you to spot game from above - and get creative with your photos! 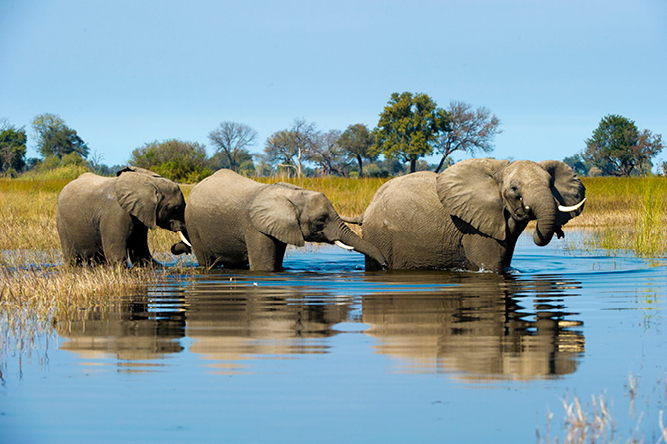 Botswana is an ideal fly-in safari destination. This type of vacation makes use of light aircraft to transfer you between locations within a destination, which saves you time that allows you to see and do more on your holiday. 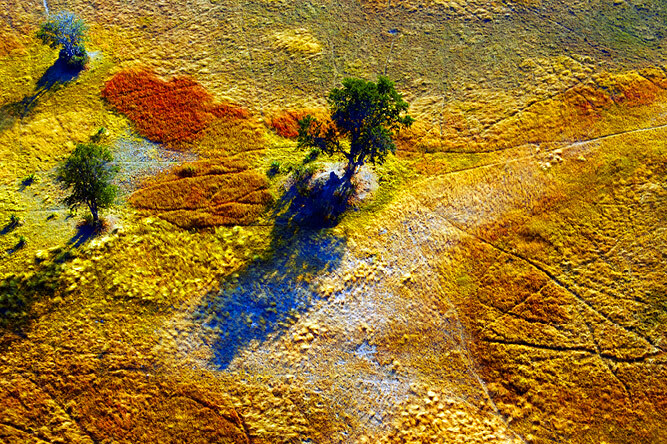 The best thing about flying from location to location is that you get a bird's eye view of the landscapes you will explore on the ground - the Okavango Delta seen from above is a magnificent palette of colours. There are plenty of back-to-nature actvities like catch-and-release fishing and guided nature walks in pristine surroundings. Botswana's guides are among the best in Africa, known for their patience, friendliness and substantial knowledge of the bush. 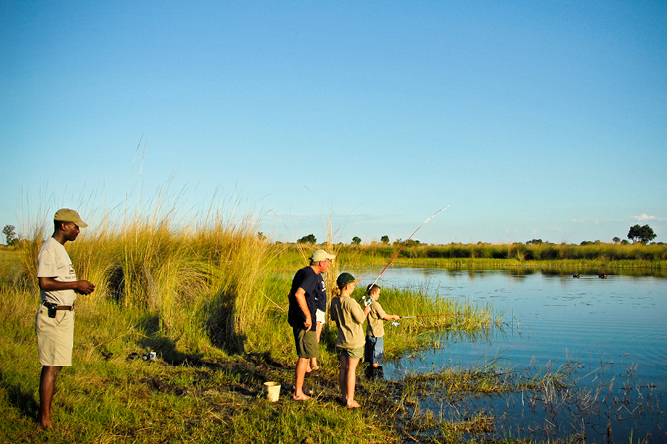 Another great advantage Botswana has for family safaris is the combination of land- and water-based activities. Within the Okavango Delta the water activities include canoe safaris, motor boat excursions and fishing for tiger fish and bream. If you've got water enthusiasts in your family, take a look at our Top 3 canoe and kayak adventures in Africa. 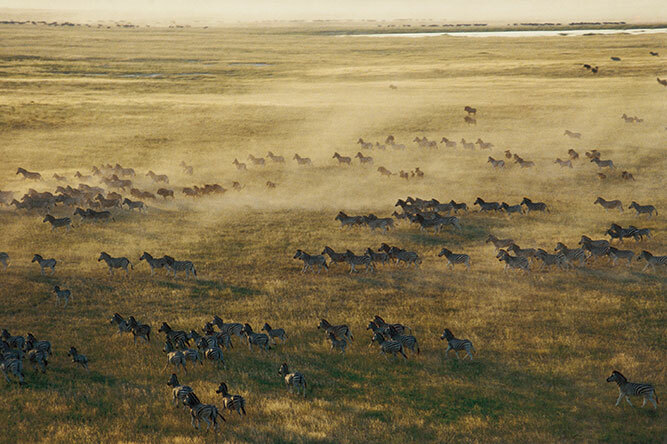 One of the best times to visit Botswana is the Green Season, when you can catch the zebra migration in the Kalahari. Seasonal specials offer some of the best value for money game viewing experiences in Africa. Take a look at our seasonal guide to planning your Botswana safari and our blog on everything you need to know about the affordable Green Season. 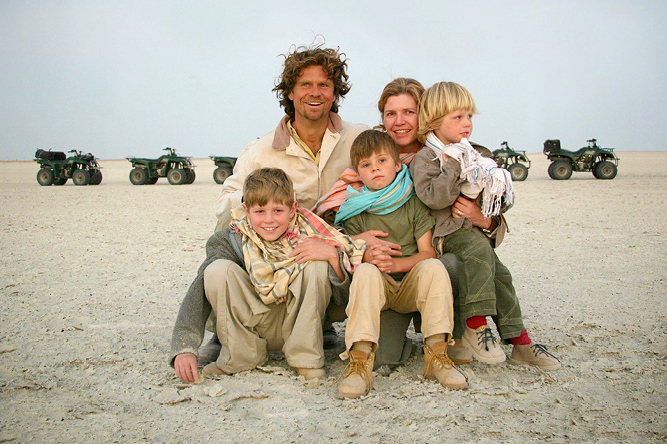 Quad biking (ATVs) and guided nature walks with traditional San Bushmen hunter-gatherers are two fantastic activities at Jack's Camp in the Makgadikgadi Pan. 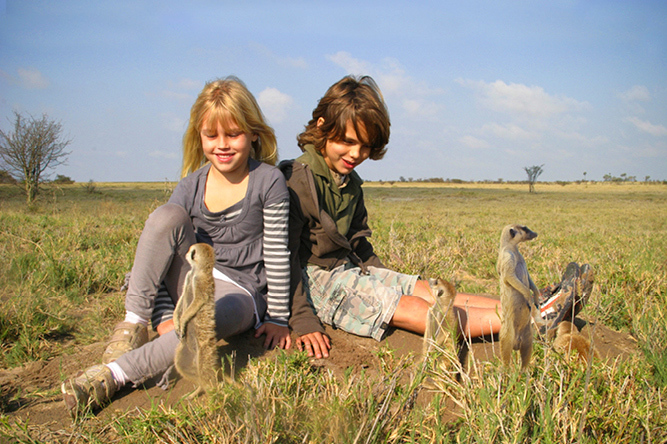 One great family-friendly animal encounter is with habituated meerkats at Jack's Camp in the Makgadikgadi Pans. Read more about ethical animal encounters in our blog and our Top 5 animal encounters for families in Africa.